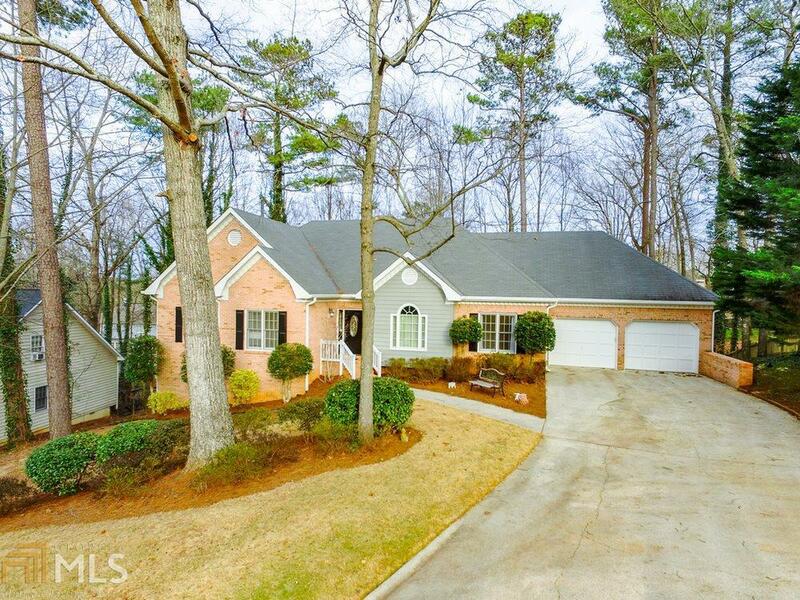 4 Bed/3 Bath Brick-Front Ranch In Fabulous Kennesaw Location! Interior Offers Hardwood Floors, Crown Molding, Coat Closet In Foyer, Living Rm, Formal Dining & Fireside Family Rm W/Cathedral Ceiling! Amazing Vintage Style Kitchen Features Corian Counters, Tile Backsplash & SS Appls W/Gas Cooking! Gorgeous Master Suite Has Trey Ceilings, His & Her Closets & Private Entrance To Deck! En-Suite Boasts His & Her Vanities W/Granite Counters, Separate Shower & Whirlpool Tub! Finished Basement Has A Bedroom, Full Bath, Kitchenette, Family/Living Area & Large Storage Room! Directions: From Atlanta Take 75n To Barrett Pkwy (Exit 269), Left Off Exit, Right On Cobb Parkway (Hwy 41), Left On Mack Dobbs Road, Right Into Subdivision Onto Standing Peachtree Trail, Right On Blaydon Pointe, House On Right!